If the concept of condominiums is not clear to you, just think of apartments. Structurally, condominiums (or condos for short) are the same as apartments. Although they are normally made to look better to sell at higher prices, condos resemble apartments in every respect. The main difference between the two is their ownership. With a booming real-estate industry in the Philippines, condos are being built and sold to more and more Filipinos. This is most especially popular in the city because land is getting scarce as people try to live and work in the same small area. The cost of land has risen up to astronomical levels particularly in cities where the demand is high. Includes amenities such as 24-hour concierge, security surveillance, fitness gym, swimming pools, etc. These advantages may be good reasons for some people to buy and live in condos. There’s no harm in owning one as long as you can afford it and it meets your needs. When condos are sold however, sellers often market them as investments. Many of the prospective buyers of this sales effort are Overseas Filipino Workers (OFW). But the question is does it make sense to buy a condo as an investment? How does it compare to other financial investments such as stocks and bonds? Is it a good diversification of your investment portfolio? To answer these questions, I rely on the wisdom of experts. They say that there are several reasons why condos are generally not good as investments. 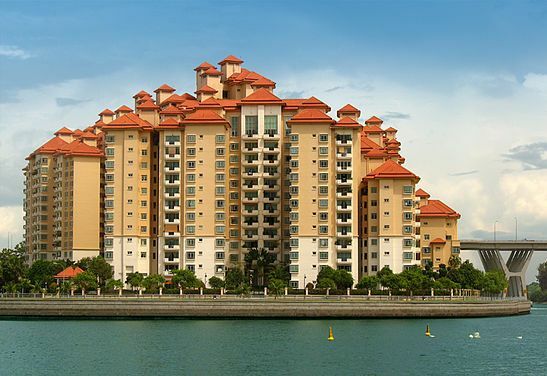 If you intent to rent it, annual rental rate is normally around only 5% of the condo’s market value. You should also assume at least 20% vacancy rate. Capital appreciation and rental income potential depend on the factors listed below. It’s therefore very difficult to predict by what rate their market value will rise. Without personal experience in buying condos, I think it wise to consider what the experts are saying. It would also help to talk to friends who would tell you the truth about their own condo buying, owning and selling experience. Condos are good real-estate properties to own if you see the need for it. This means taking advantages of the benefits it has to offer. But unless you’re talking to a condo sales person, condominiums are generally less attractive than other types of investments such as mutual funds, stocks and bonds. A data-driven analysis needs to be done showing otherwise before committing your money to condominium investments.